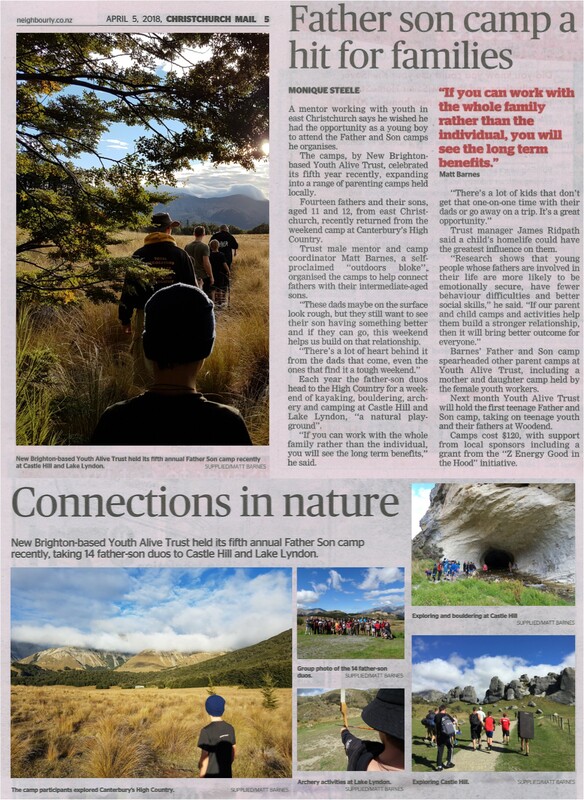 Great newspaper article in todays Christchurch Mail about our recent Father & Son Camp. We’re now taking registrations for the Father & Son Camp Teen Edition, from 25th – 27th May. Our teens grow up so fast, can you spare a weekend dedicated to them and your relationship?